It’s that time of year when we are looking forward to receiving lots of applications from prospective students so we thought it would be useful to include an Oxford admissions checklist on this week’s blog. Year 13 students: if you are thinking of applying make sure you have prepared for all the points below. Year 12 students: it’s never too soon to start thinking about your applications for next year. 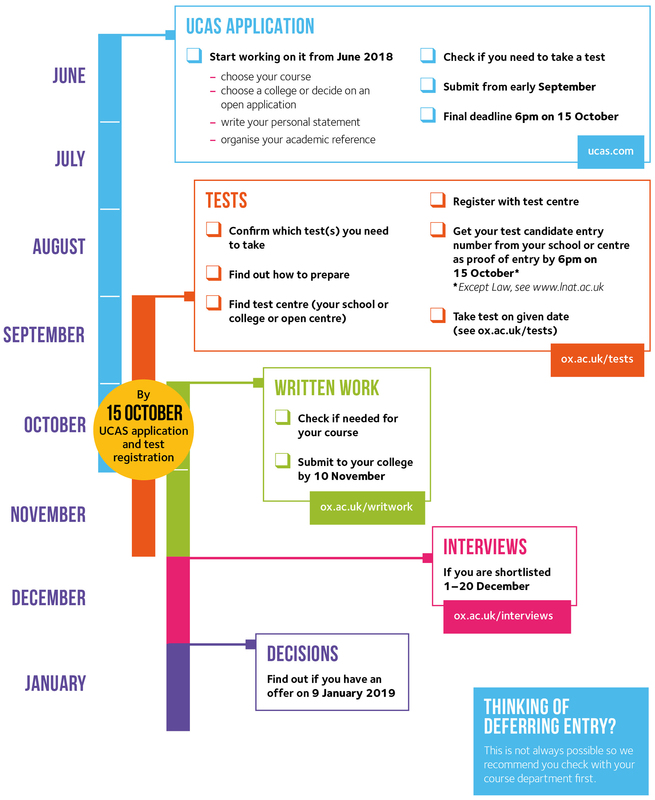 Step 1: UCAS application – remember that the deadline for Oxford is earlier than the usual UCAS deadline. Submit your application by 6pm on 15 October 2018. You’ll submit the same personal statement for all the universities you apply to. Therefore, focus on the course/ subject, not the universities. Show us your academic ability and potential, and your commitment to the subject. It’s not enough just to say that you have a passion for something: you need to show how you have engaged with your subject, above and beyond schoolwork. Only mention your extracurricular activities if they are relevant to the subject for which you are applying. We want to see how your interests beyond school have helped to stretch you academically or motivate you to pursue your subject. Be honest and be yourself – we’re interested in you as an individual. Also remember that this is not the time for false modesty – feel free to sell yourself! Don’t list qualifications like your GCSE grades or anything else that’s covered elsewhere on the application. Be sure to re-read your personal statement before an interview – the tutors may ask you to talk about things you’ve mentioned. Step 2: Admissions Tests. The deadline to register for a test is also 6pm on 15 October. Your schools or test centre must register you. Ask your school or test centre for your candidate number now so that you know you have been registered. You will sit the test in your school or test centre on Wednesday 31 October. For Modern Languages, you must take a test in each language you apply for which you are studying at A Level or equivalent. For example, if you are applying for French and German and are sitting an A Level in both of these languages, you will take the tests in French and German. If, on the other hand, you are applying for French and Italian ‘ab initio’ (from scratch), and you will only have the A Level in French, you do not need to take the Italian test. For languages for which you are applying post-A Level, the test is a grammar test, so it’s useful to start revising things like tenses, prepositions, subjunctives, adjectival agreement etc. The test is not designed to be a vocabulary test and there are likely to be words you don’t know: do not worry about this. We are not expecting a perfect score – we just want to get a sense of how solid a grammatical foundation you have in your language at the point of application. If you are applying for a language from scratch you will need to take the Language Aptitude Test (LAT). This takes a made-up language and asks you to spot patterns and rules within that language, based on some sample sentences. We are interested in your instinct for language learning and your ability to spot potential grammatical structures based on the internal logic of a language. There are examples of this and other admissions tests online – have a practice in timed conditions so you get used to the exercises. If you are applying for a ‘joint schools’ degree (a language in combination with another subject: English, History, Classics, Middle Eastern Languages, Linguistics, Philosophy) you may need to take additional tests in those subjects. Check here for details. Step 3: Written Work. The college considering your application will contact you about submitting written work. The deadline for submission is 10 November. You will need to complete a written work cover sheet for each piece of work that you submit. For Modern Languages, you will need to submit one piece in each language you intend to study, and in which you will have A Level standard (or equivalent) before university. If you are applying for a joint schools degree you will need to check what schoolwork is required for those subjects. The work you send in should be your original school or college work, marked by a teacher, and not re-written or corrected in any way. It may be typed or handwritten – as long as it is legible – and photocopies are acceptable. We would expect the piece in English to be no more than 2,000 words. The piece in the Modern language can be much shorter: we would recommend around 300-500 words. Step 5: Decisions! You will be told if you have an offer on 9 January 2019. I am very interested in studying languages at your university. I am a very accomplished student at my school, gaining seven A or A* grades in my GCSE exams, and have done very well in all of my AS-levels. I am predicted to achieve three As at A-level. I am a respected member of my school, representing my year group on the school council. This demonstrates my maturity and leadership qualities. I also have broad extra-curricular achievements: I play on the school hockey team, I have achieved Grade 6 on the oboe, and I successfully spent a year as Marketing Manager for our T-shirt producing company under the Young Enterprise scheme, for which we were given a regional award. I would like to become a lawyer in later life, and I believe the skills acquired during a language degree would be invaluable to me in the international field. I have a passion for languages. All my life I have been extremely interested in learning foreign languages. One of my earliest memories is looking at a Spanish picture-book that my mother had bought on holiday, and being fascinated by the foreign words that were written in it, and determined that one day I would be able to understand what they meant. On childhood holidays in France, I would always be the one to step forward and chat to the locals. While my parents hung back, too embarrassed to ask for milk instead of lemon in their tea, I would be chatting away, making friends with the waitresses. French and Spanish culture are wonderful, and it would be the most amazing opportunity for me to spend four years studying them at your prestigious institution. 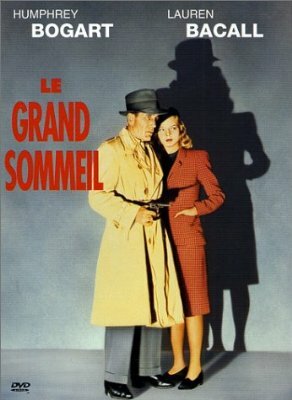 I adore Spanish cinema and read lots of French books, and I would relish the opportunity to be able to do this full-time for the duration of the course. Spanish is so much more elegant than English, and French culture is so much more sophisticated than British culture. I have a real interest in language learning and literary study, and I would love to have the opportunity to study French and Spanish at your institution. While I’ve had little chance to visit French- or Spanish-speaking countries as yet, I do what I can to acquaint myself with their language and culture. I’ve been watching some Spanish and Latin American films on DVD. My favourite director is Pedro Almodovar. While my A-level syllabus doesn’t include any literature, I have always been interested in the subject, and I believe I would be well-motivated to follow a course with a strong literary component. In English literature, I have recently been reading Saturday by Ian McEwan, where I was interested in the detail with which the author goes into a minute-by-minute account of an ordinary day. I have also recently read an English translation of the French novel, Madame Bovary, to give me a taste of some of the literature offered on the course. I found it both funny and sad, and it was fascinating to see how Flaubert combines these two emotions, often in a single scene. I have not previously had the opportunity to read any foreign literature in the original language, but I have just bought a copy of Antéchrista by Amélie Nothomb, which I am starting to read. I also have an interest in linguistics, after reading popular science books by Steven Pinker, and I would be keen to take a course in linguistics as part of my degree. It’s surprising to see the various ways languages develop and change over time. Modern languages at Oxford last year accepted 35% of applicants to the course, so it’s quite likely that only one of these three will end up as an undergraduate. Which should it be? Clara and Rory may be equally as interested in foreign cultures and as keen to study them as Martha, but they don’t do as good a job of telling us about it. Clara tells us practically nothing that connects to our admissions criteria — in fact, she tells us almost nothing of relevance that isn’t already covered by other parts of her application. Rory is big on enthusiasm but low on substance. He claims to be interested in French and Spanish literature and film, but gives no details, and spends most of the personal statement on anecdotes without much relevance and over-the-top declarations of love for the subject. When the three of them come for interview, we’ll make sure that Rory and Clara have the chance to fill in the gaps and let us know if they really are interested in literature and well-suited to a course that includes literary analysis. But Martha is already well on the way to demonstrating this before we even meet her, and has the further advantage that she’s made some specific suggestions for discussion topics at the interview, which she can prepare for in advance. The personal statement is only a small part of the admissions process, but if the other parts of her application match up, then Martha is off to a strong start. It’s UCAS time. Applications to study at Oxford in 2015 need to be submitted through the UCAS service by 15 October this year. Most courses at universities other than Oxford and Cambridge have a January deadline, but our deadline is earlier so we can fit in our lengthy admissions process of schoolwork assessment, language tests, and interviews, which will keep us busy until late December. All the information you need is laid out in great detail on the UCAS website, the Oxford admissions page, and the various pages devoted to our modern languages courses. There’s one for people wanting to study two languages together or one on its own, one for people wanting to study English and Modern Languages, one for History and Modern Languages, one for Classics and Modern Languages, one for Philosophy and Modern Languages, one for European and Middle Eastern Languages, and, finally, one for Modern Languages and Linguistics. UCAS’s own advice on writing your personal statement is here, and is very helpful. I thought it would be useful to add a little more specifically for those thinking of applying to Oxford for modern languages, so this week and next, we’ll be looking at the topic. This week offers a few pointers about how you might go about writing your personal statement. Next week we’ll look at three sample statements and see what they do well and what they could do better. We’ve talked about personal statements before on the blog, notably in this post, and the ‘Applying to study modern languages’ category gathers together all the relevant posts on Oxford admissions. I’ll begin by reiterating the key point of that earlier post, which is that our decisions about who to offer places to are based on the published admissions criteria for the subject. and the personal statement itself. (Plus, we’re also taking into account the UCAS contextual data and any bearing it may have on your achievements in any of the above areas, as I’ve talked about here.) As you can see, the personal statement is one among many factors here, and by no means among the most important of them, but it’s worth taking the time to get it right. As we’re well aware when we read these things, you only get to write one personal statement for all your UK university applications, and it’s unlikely that modern languages at Oxford is your only choice. Even at Oxford, if you’re applying for one of the ‘joint schools’ with English, Philosophy, Linguistics, Middle-Eastern Languages, History or Classics, you’ll need to look up their selection criteria online and tailor your personal statement to meet those as well. 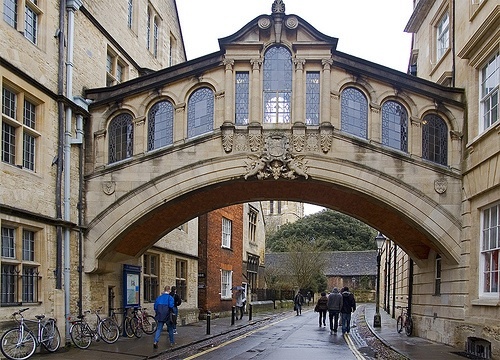 At the other universities you’re applying to, you may well be applying for a different combination of subjects, or for a modern languages course with very different emphasis from the Oxford one, so the Oxford tutor understands that your personal statement needs to be broad enough to encompass all of your choices. Having said that, with around three applicants for every place available in modern languages, and with our most popular joint school, English and Modern Languages, able to take only 16% of applicants last year (these statistics are on the course pages listed above), it’s important that you fulfil the ‘motivation and commitment’ criterion at the very top of the list by showing in your personal statement that the Oxford course is one you really want. A while ago I received an application for French and Spanish with a personal statement almost entirely focused on the candidate’s commitment to studying Management with Business Spanish (a course we don’t offer). It didn’t put the applicant in a strong starting position against the other candidates. Given the proviso that it has to do other things as well, how might you draft your personal statement to engage with our selection criteria? Take a look at the four bullet-point criteria above (in green) again, and then at the seven kinds of information we have on you as part of your application (in red), and you’ll be able work out which criteria are relevant to the personal statement, and which are to do with other parts of the admissions process. Motivation and commitment for sustained study of language and literature. Communication: willingness and ability to express ideas clearly and effectively in writing. An aptitude and commitment to the study of literature by evidence of their readiness to discuss their reading in English or in the relevant language(s). Motivation and commitment for sustained study of language and literature. Anyone can say they’re motivated and committed. But can you show it? We’re not looking for people to lay it on thick with declarations of enthusiasm and passion. We’re looking for something that counts as real evidence. Have you been on an exchange? Do you correspond in the foreign language with someone on social media? Do you try to read foreign newspapers online? Or watch foreign films on DVD? Any of these things would be good support to an assertion that you’re committed to studying the foreign language and its culture. Willingness and ability to express ideas clearly and effectively in writing. Clear and effective doesn’t mean wordy and pretentious. There’s no point in using unnecessarily obscure words and phrasing to try to sound more sophisticated. There is a point, though, in being accurate. You only have forty-seven lines to write, and it’s reasonable to hope you should be able to manage that without spelling or grammar mistakes. Read it through several times, and give it to other people to read to make sure. Pay particular attention to any names of people, books or films you’ve included, or any quotes in the foreign language. Every year I get at least a couple of applicants telling me how keen they are to discover the works of Jean-Paul Satre (it’s Sartre), or how interested they are in the adventures of Mersault in Albert Camus’s L’Étranger (it’s Meursault). An aptitude and commitment to the study of literature by evidence of their readiness to discuss their reading in English or in the relevant language(s). Some A-level courses or equivalent in modern languages include a literature component, but most don’t. Some applicants are also studying English literature alongside the modern language in the sixth form, but many aren’t. So what we’re absolutely NOT expecting of a candidate is any experience of studying literature formally at school. What we are looking for, though, is that you’re the kind of person who has an interest in literature and culture, and will thrive on a university course that involves quite a lot of it. We’ll spend a good part of the interview on this subject, but you can make a start in demonstrating it in the personal statement. Have you read any serious English literature? Have you ever read a novel or play from the modern language in English translation? Have you tried, or do you plan to try reading something in the original language? If you’re doing any of these things, are you doing them on your own initiative, above and beyond what your school is requiring you to do? If you’ve read something in translation or the original language, do you have any thoughts on it? Was anything about it particularly striking? What questions did it raise, or what was particular about the characters, the style of the writing or the way the plot was structured? Be as detailed and specific as you can within the limits of the word count. We’re always pleased to see what you’ve read and what you thought of it, and you can be sure that if you do say something along these lines, then you’ll be invited to discuss it further during the interview. That just leaves the things that aren’t in the selection criteria. Here in Oxford, we’re entirely focused on your academic potential. While it’s nice to see other details about you on the personal statement to get to know you a little better as a person, they won’t ultimately have a bearing on whether we’re able to offer you a place on our courses. I’m always very pleased to see that you play the oboe to Grade 8 standard, or that you represent your county in ice-hockey junior championships, and you should rightly be proud of achievements like this and include them on the statement. But if you’ve never picked up a musical instrument or ventured onto a sports field without catastrophe immediately following, or if your sole out-of-school activity is curling up in an armchair with a book, then I’m very happy to see that too, and it won’t count against your chances of a place at Oxford in any way. You may have seen in the news recently that state-school students are said to be likely to do better in their university degree than independent-school students who start university with identical qualifications. The news is reported here, and you can find the original study, carried out by the Higher Education Funding Council for England, here. The Higher Education Funding Council (Hefce) tracked 130,000 students beginning degrees in 2007, looking at schooling, background and ethnicity. It found on some measures state pupils were significantly more likely to get a 2:1 than their private school peers. Of those students who achieved ABB at A-level, some 69% of students from independent schools went on to gain 2:1 or a above compared with about 77% of students educated at state schools. And at three Bs, 61% of independent students pupils got a 2:1 or above compared with 70% of state school students. It’s not the first such study, but it is the biggest, and its findings confirm the results of earlier studies, including a 2009 study of Oxford admissions. The first question, if you are currently a student at a UK state or independent school and worried about your chances of getting to university, is: what does this finding mean for you as an individual? The answer to that question is: nothing. It has no significant bearing on the likelihood of you personally getting into the university of your choice, and no impact on the likelihood of you doing well in your degree once you get there. It’s a large-scale study, looking at over a hundred thousand students, and extrapolating from that data that the performance of the average state-school student at university may exceed that of the average private-school student with the same grades. You are not an average student. In fact, nobody is: it’s a mathematical construct, obviously. And there’s nothing very useful you can infer from it about your own particular case, no matter what kind of school you may be attending. What the study will do, though, is reopen the debate about whether universities should use ‘contextual data’ about applicants’ backgrounds in their admissions process, along with qualifications acquired and predicted grades, to decide whether to offer a place. As we’ve already talked about here, Oxford already takes into account a great deal of information beyond your qualifications in deciding who to offer places to, including (in modern languages) personal statements, schoolwork, language tests, and interview performance. Among this extra information is precisely this contextual data, and has been for some years now. Here’s the university’s official statement on the topic. With every UCAS form that comes in for a UK student, I’m told what kind of school you attended (state or private, comprehensive, grammar or sixth-form college), and I’m also told whether that school performs better or worse than the UK average at GCSEs and at A-level or equivalent. The forms ‘flag up’ below-average schools in either category, to show if your grades are outperforming those of your peer group. I also know, provided you’ve opted to disclose this information, if you have a disability of any kind (about which you can give details on the form), and whether you’ve spent time in care. The form will also tell me if the postcode of your home address indicates that you may come from an area designated ‘moderate means’ or ‘hard pressed’ economically, or if people from your area generally have low participation in higher education. The university’s policy states that, if your predicted grades and your performance on pre-interview tests suggest there’s a possibility you may be able to get a place, then candidates flagged for postcode and school performance, or candidates flagged as having been in care, are strongly recommended to be invited to interview, and admissions tutors must explain to their departments if there are any exceptional reasons why they might not do so. It’s not, however, the university’s policy to make lower offers to some candidates on grounds of school type or contextual data. In modern languages, all candidates who successfully pass the admissions process are given an offer of AAA at A-level or equivalent for other sixth-form qualifications. Should you happen to miss your offer by a small margin, though, we do at that stage reopen your application file and re-examine all the data we have on you, including the contextual data, to see whether at that stage there might be grounds for relaxing the requirements. In my personal experience as an admissions tutor, on several occasions in the recent past, there have been. There’s obviously much to be debated on the rights and wrongs of Oxford’s policy on admissions, and on how well it works, and I’m sure some of that will be spread across the media in the wake of this report. But I thought it would be useful to lay out the basic facts of our approach, so you can at least see how we go about looking for academic potential, wherever it might be found. It’s that time of year again when the UCAS forms arrive in my pigeon-hole from Year 13 students applying to study modern languages at Oxford, starting off the admissions process that will include schoolwork, language tests, and finally, interviews in December. One of the most interesting parts of the process is reading the personal statements on the UCAS form, six hundred words or so of the applicant’s own account of why they want to come and study modern languages, what their particular interests are, and why they deserve a place on the course. Coming right at the start of the admissions round, these statements give me my first glimpse of who my future undergraduates will be, and I’m always impressed by the levels of enthusiasm, talent and commitment on display. You can find them, plus some more specific details regarding language tests, interviews, etc., on the university website here. Some of these criteria are relevant to the personal statement. For instance, you have the opportunity to show your motivation for the literary and cultural side of the course by telling us about your reading, in French or in English, outside of school, or about foreign-language films you’ve seen. It’s a topic I’ll return to in a later post. For now, though, I’d just like to point out the absence of any criterion declaring that successful candidates must open their personal statements like a movie pitch. We want to know about your interests and achievements in detail, and you can trust us to pay very close attention, even if you don’t reel us in with a hilarious anecdote about that time with Uncle Gerald, the grumpy waiter and the big bucket of snails.